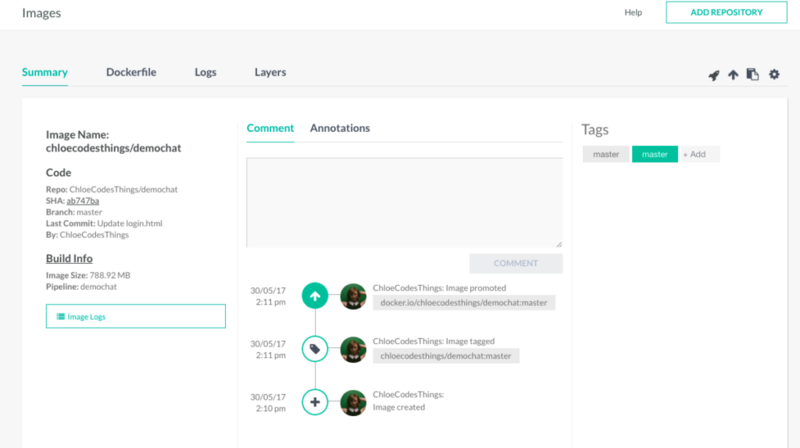 As you can see, we have 3 ways to identify the images: REPOSITORY, TAG, AND IMAGE ID. Since repositories can have duplicate names, and the image IDs… well, who can remember a name like “db079554b4d2”? We sometimes need an easy way to identify them…. Sadly, not the Macklemore type of “tags”, but I personally find learning about Docker just as fun as thrift shopping… but I digress. In the world of Docker, tags point to specific image commit (or, image ID). You can think of it like a symlink from Unix based OS’s. You’ve probably seen the tag “latest” quite a bit while playing with Docker- think of this as a default tag in Docker, and less of a “most recent” type description. …you’ll see 2 python images with different tags, but the same image ID. Starting to make sense? Image caching is one of the awesome parts of Docker that makes it so lightweight! and then run docker image ls…. BOOM! There it is in my repo! By giving a new tag to the existing image, when I push to Docker it’ll create a new repo for me. 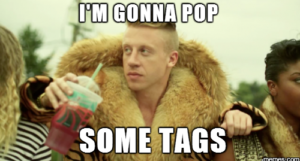 And when I go to tags…. Oh hey, there’s my “yoyowazzup” tag!